a jewelry artist, asagi maeda website. I’m going to attend to Sieraad Art Fair from 8 to 11, November in Amsterdam. 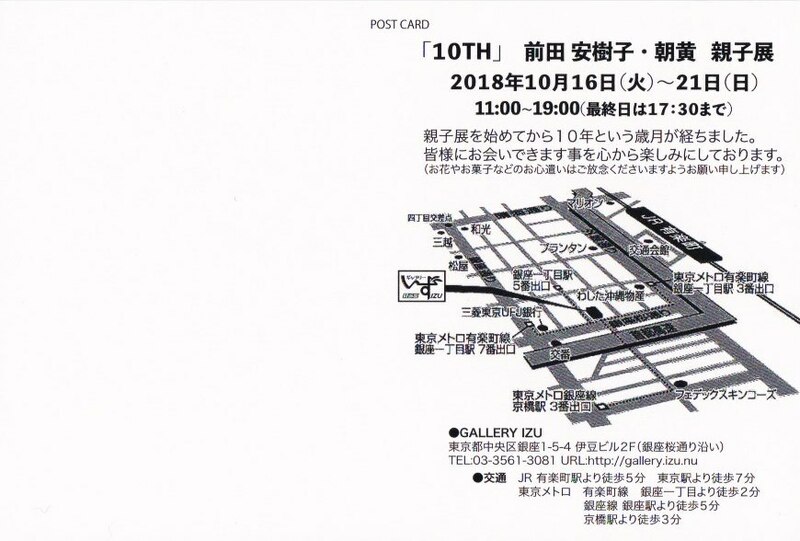 I will be at the booth of My day by day gallery (booth No.123). Then, I am going to move to Roma and have a 3 days show at my day by day gallery. 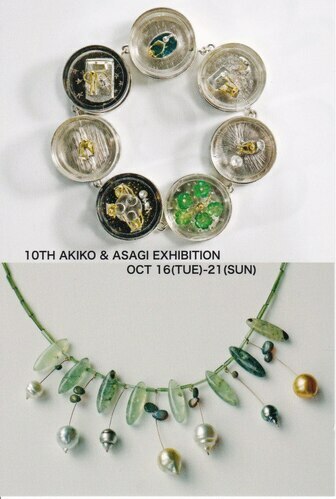 I will attend the opening day (14 Nov) only but the show will be until 16 Nov.
My works will stay there for a year. 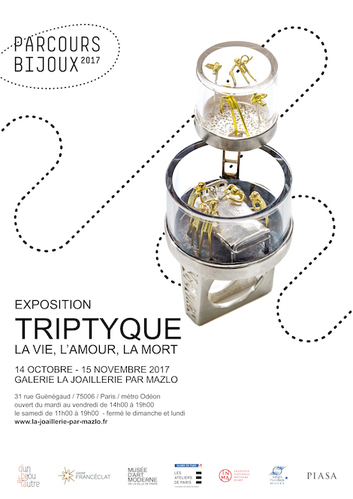 Please come to see me and my works if you are around. Thank you! 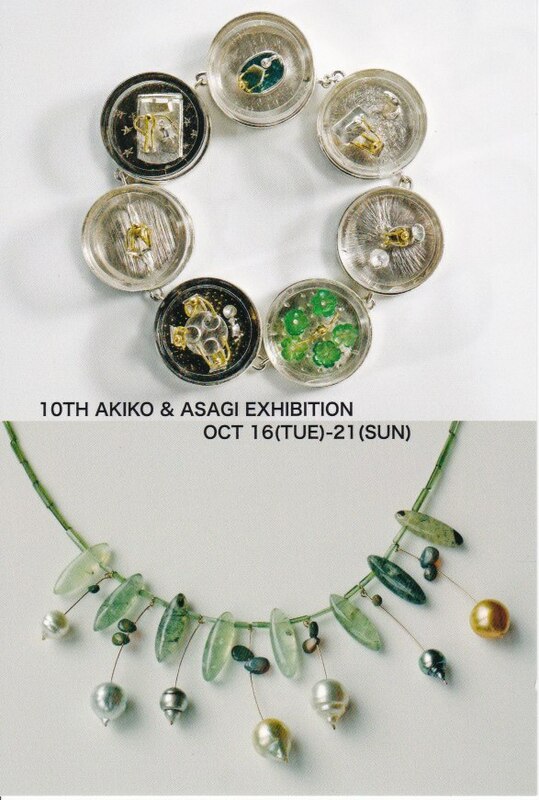 I am going to have an exhibition with my mother. 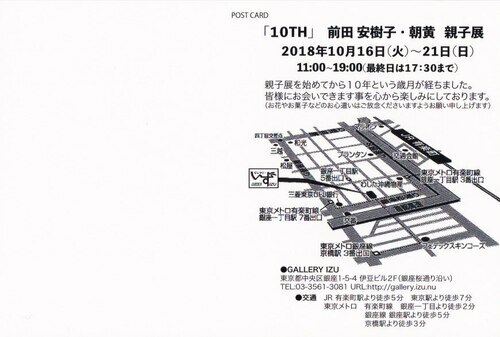 At Gallery IZU at Ginza in Tokyo. 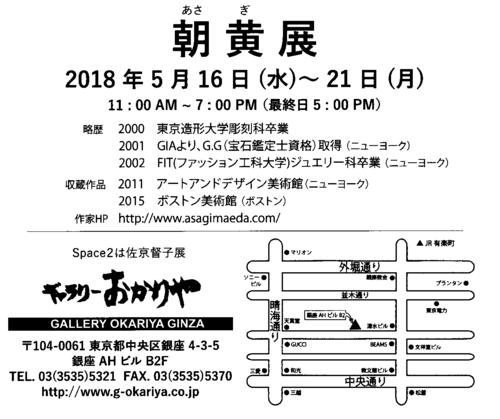 2 min walk from Ginza Icchome metro station. 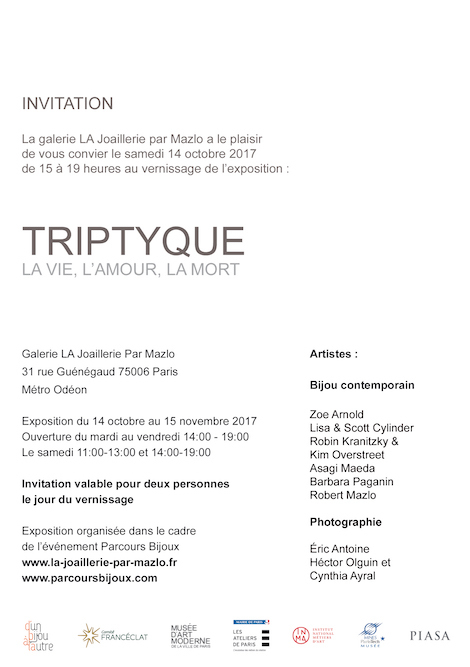 We'll be at the gallery during the exhibition. 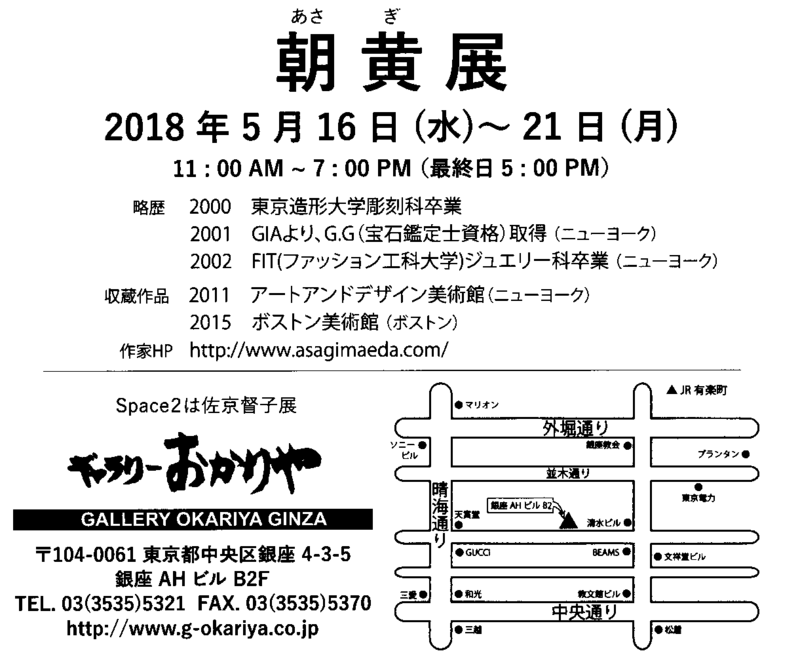 I'm going to have a solo exhibition at Gallery Okariya in Ginza from May 16th(wed) to 21st(Mon). It's been 2 years from the last one in Tokyo. 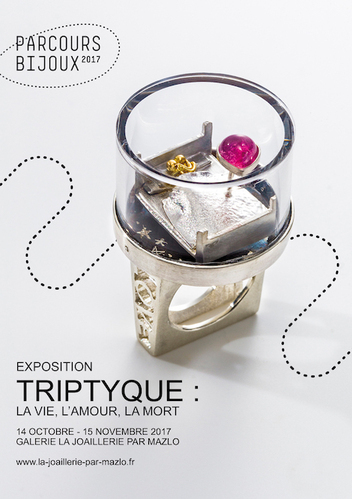 I'll be at the gallery during the show, so please come and visit to see my jewelry at this chance! 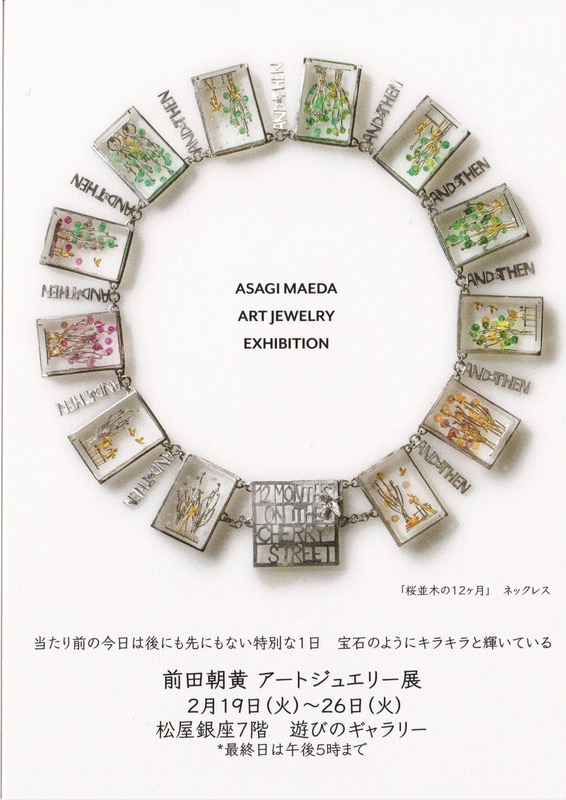 You can watch the Shinkansen necklace moviehere! 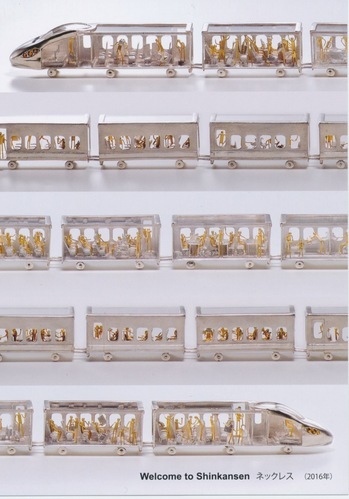 Museum of Arts and Design will present "LOOT Mad about jewelry", its annual exhibition and sale featuring designs from 35 emerging and acclaimed international jewelry artists. 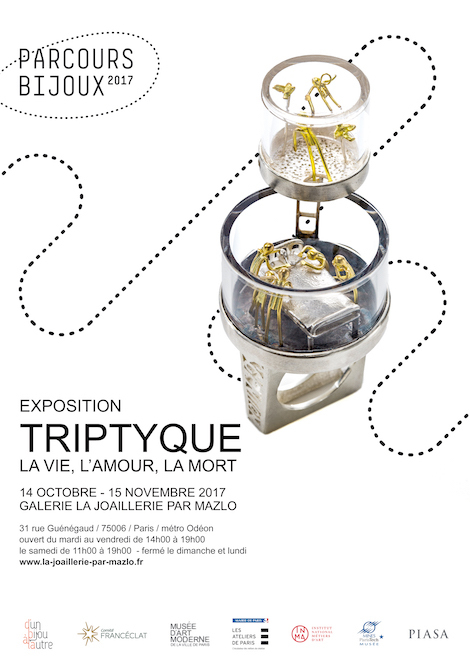 I will be there. 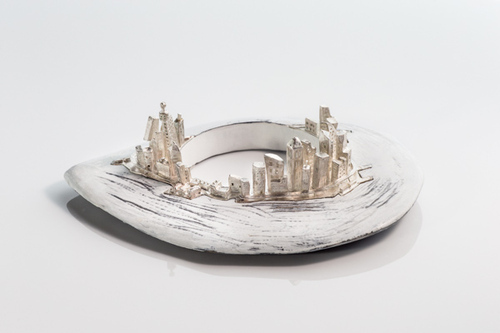 Please come and visit me if you are in NY. I will exhibit my works at Gallery MAZLOin Paris from Oct.14 to Nov.15. The theme is 'Life, Love and Dearth'. 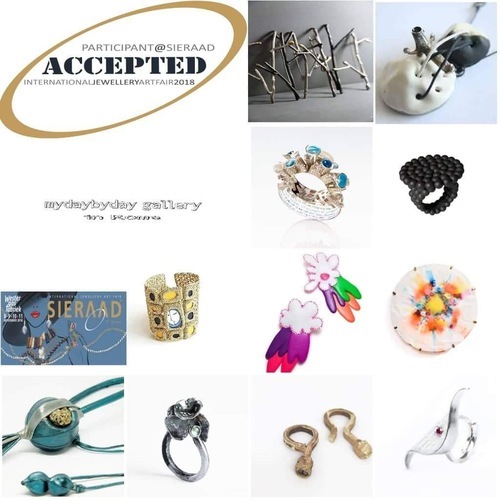 There will be 6 contemporary jewelry artist's works.